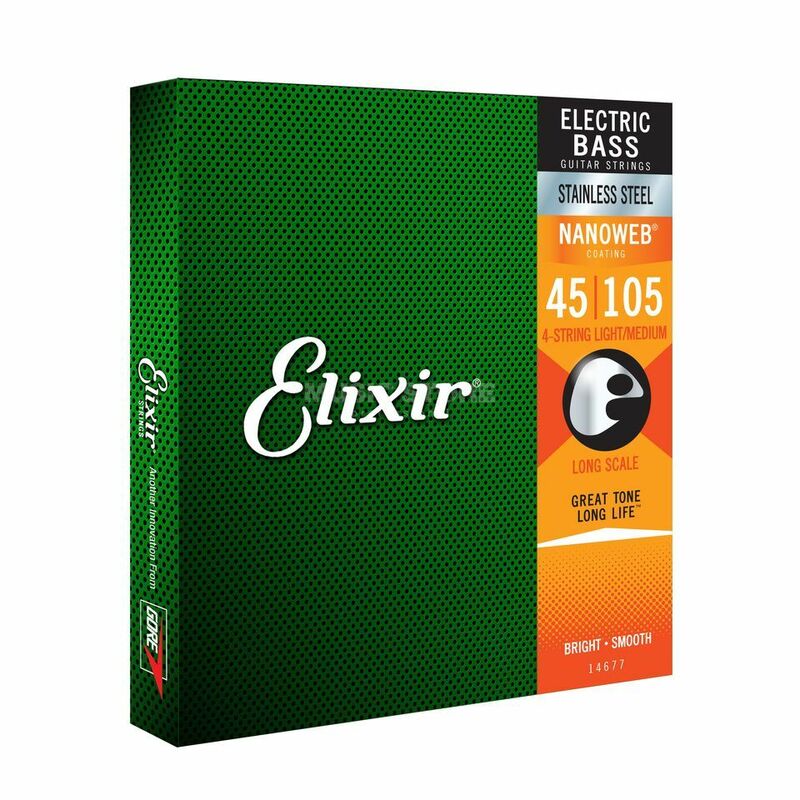 The Elixir 14677 Stainless Steel Nanoweb Light-Medium Bass Strings 45-105 is a pack of 4-string bass guitar strings in a light-medium gauge. Nanoweb Bass Strings deliver a full range of bass tones from fat, round lows to punchy mids with sweet top-end details. Thanks to an extended life expectancy (3-5 times longer), bass players are able to focus more on their music. The ultra-thin Nanoweb coating keeps gunk out of the gaps between the windings for a smooth feel that is easy on your fingers and enhances playability with reduced finger squeak. Anti-rust plated plain steel strings resist corrosion. Very nice strings! Punchy! Clear! Feels great on the fingers! I bought these strings with curiousity. I fell in love with these strings not only because of the feel but the sound that it produces. I love slapping on the bass and these strings really makes each attack more pronounced. But as with all strings, you have to try it yourself. I personally love these strings. Only drawback is a the price...it is very pricey, but I expect these strings to last me at least 6 months.